Say that title 10 times fast. 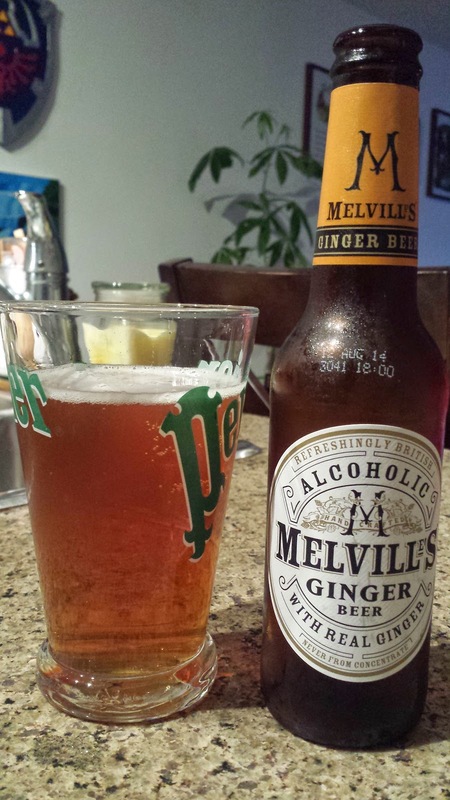 Another rich flavour graced Ontario's LCBO's last year - Innis & Gunn's owned brewery Melville's. Check out Melville's home page announcing it's launch in Canada. I received the ginger beer as a gift in January and finally decided to crack it open, since it's expiry date was coming up in August. This is one of only 3 or 4 ginger beers I've had the opportunity to try, and I'm still yet to truly enjoy one. Most have been thick, syrupy, low in carbonation, and very spicy. There's a slight malty taste, but nothing to bl-lager about. Overall, if you're not really a beer drinker, and you want a sweet 4% drink that's kinda of like a long island ice tea, but without the booze, give this one a go. I think I'm gingered out... alas, I have a few more brands in my fridge!